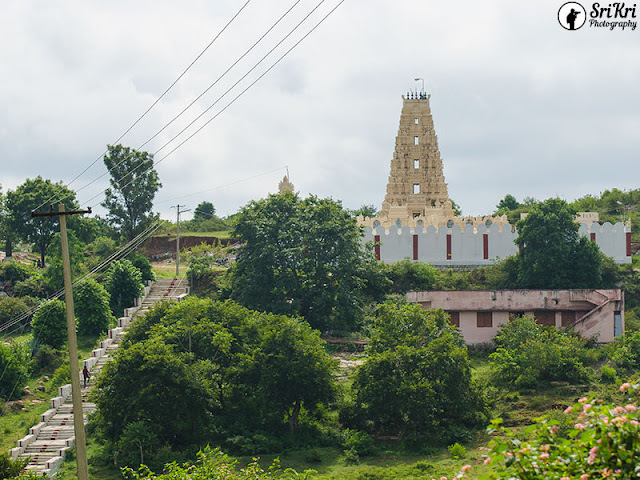 Denkanikottai is located in Krishnagiri district in the state of Tamil Nadu. It is around 27 km from Hosur and 65 km from Bengaluru. There was a demon by name Devakandan who got the astounding strength by way of boon from a 4 faced Lord Brahma. He started troubling the sages as well as the Deva. To kill the demon, Lord Venkatesa took the form of hunter and killed him with the help of the instrument by name Denkani. From that time this place was called by the name Denkanipuram. Then it was named as Denkani kottai (fort). 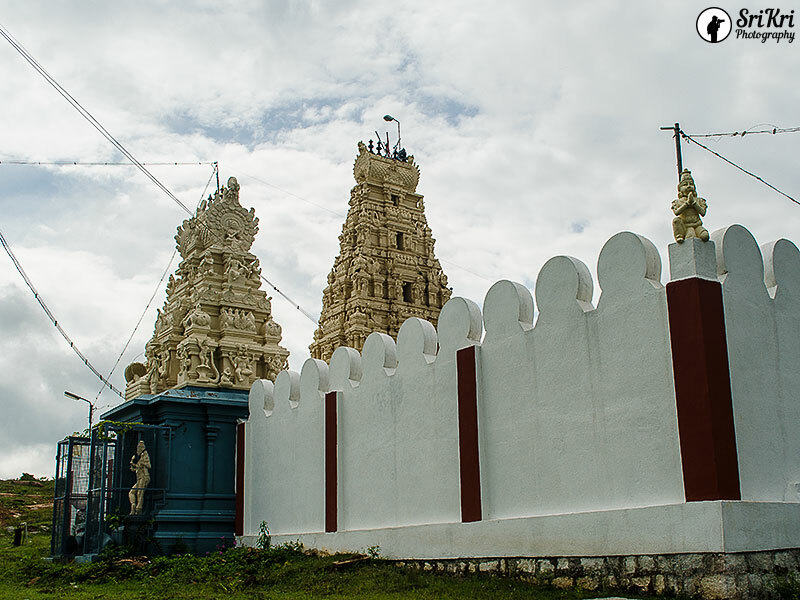 Over a period of time it was renamed as Thenkanikottai. 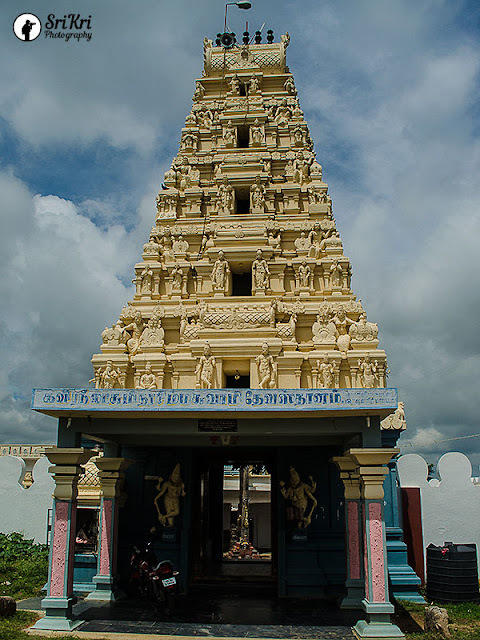 Gavi Lakshmi Narasimhaswamy temple is located in Denkanikottai. As the name suggests, the main deity is Lord Narasimha. 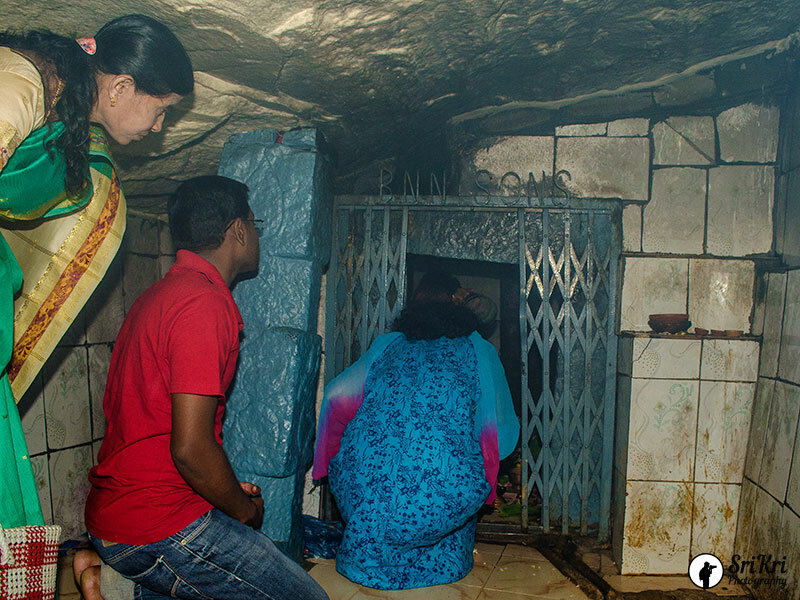 Gavi means cave in Kannada. Of the 10 avataars, Lord Narasimha is the intense avatar of Lord Vishnu. During the period of exile, Pandavas stayed here at the cave. 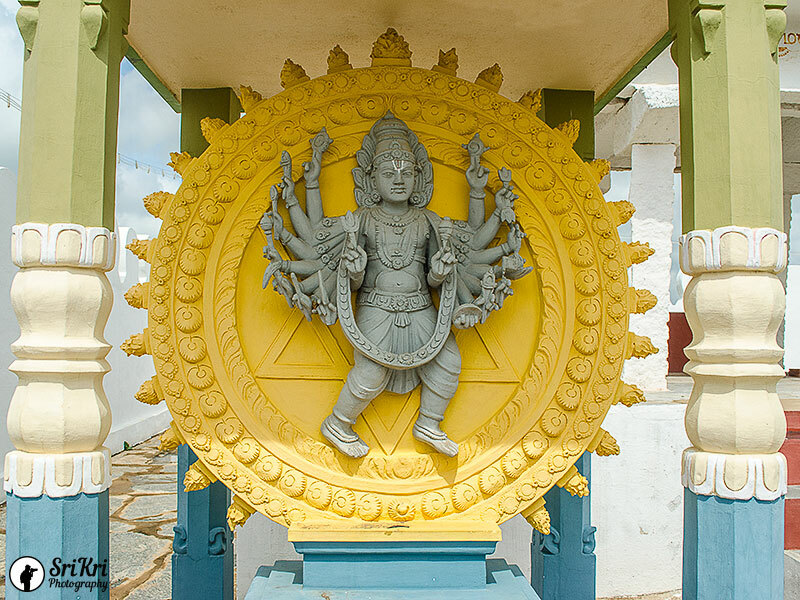 Pandavas sculpted the Lakshmi Narasimha and started worshiping daily. After staying for some time Pandavaas left. Thereafter it was not worshiped. Over a period of time Kaliyuga also started. There was a king by name Dharmavarma who started ruling this place Denkanikottai. Once he visited the nearby forest for hunting. He didn't get anything even after waiting for a long period of time. Feeling disappointed he started to return. On his way back he saw a small hillock. He was in search of an animal in the cave. He could not find any animal. But instead he found the priceless possession. Can you guess it? Yeah you got it right. It is none other than the sculpture of Lakshmi Narasimha. Even though he could guess that the sculpture is that of God he was not able to identify the deity. He approached the sage Kanva (who is the immortal) was doing penance. The king took the sage along with him to this cave. Sage on seeing the sculpture, immediately recognised and said this is Lord Lakshmi Narasimha who slayed the demon Hiranyakashipu. The sage narrated the whole incidence about Lord Vishnu taking the form of Narasimha and slayed the atheistic demon. When Prahalaada approached the furious Narasimha, he gave up his aggressiveness and gave the darshan as Lakshmi Narasimha. 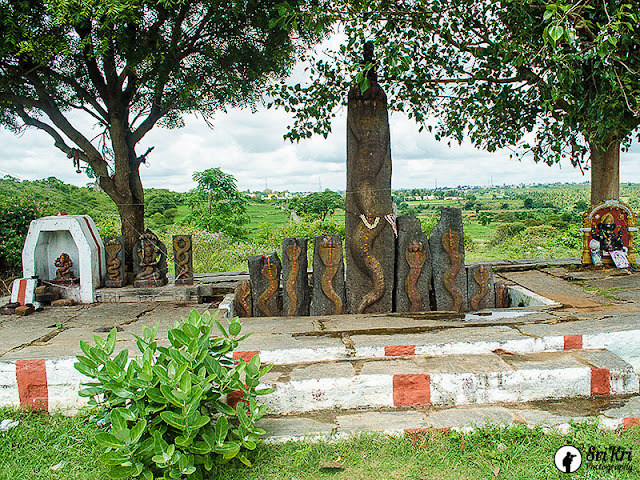 The sage through his clairvoyant told that the sculpture was sculpted by the Pandavas. The sage instructed the King to start the pooja for the sculpture which is sure to benefit the people. The King after hearing built the temple around the cave. Thereafter this temple was in prosperity. During the invasion of the foreigner most of the part in and around this place was demolished and the assets were looted by them. After the incidence this place lost its pride. The poojas were also stopped. After many years, only on the eve of Lord Narasimha Jeyanti the temple was opened and for the rest of the year it was locked. 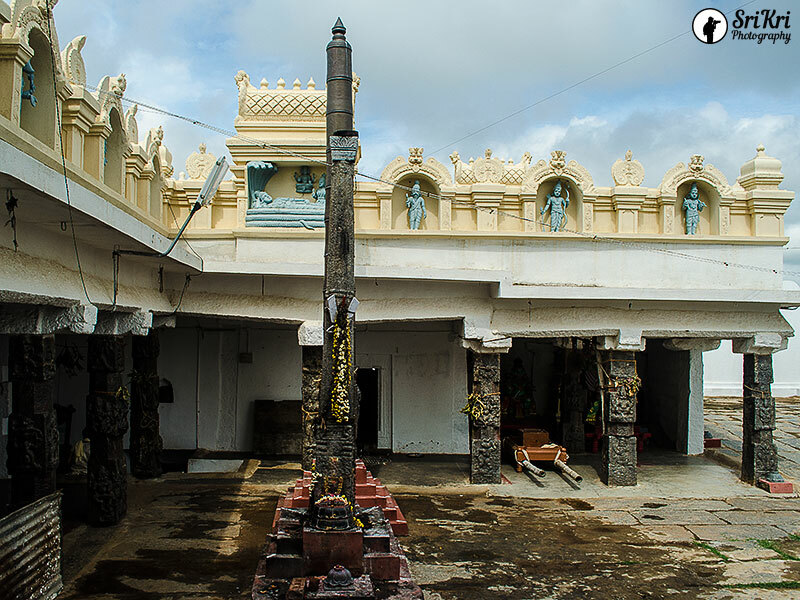 Since past 10 years with the help of devotees the temple was renovated. Daily pooja is being done. This hillock is easily approachable by steps as well as by road (though road leading to temple is not good). It has 108 steps. 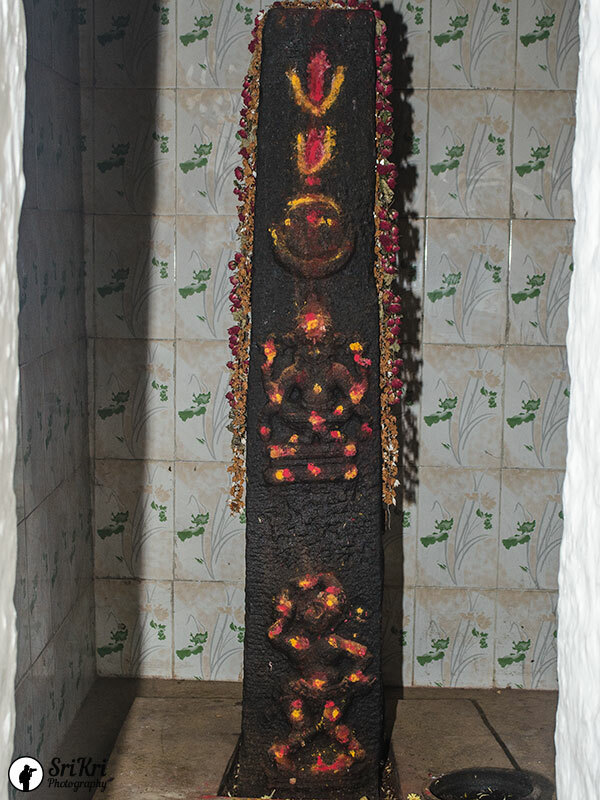 The procession deity is Vasantavallavaraayar. 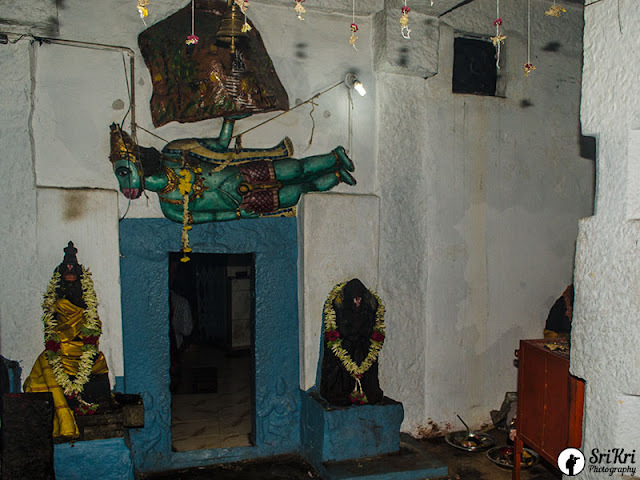 He is blessing the devotees along with the consorts Sridevi and Boodevi. One would see the procession deity only on the procession days and on special days. For safety reason the procession deity lives in the another temple. During special days deity is specially anointed and adorned. Special Days: New Year, Thai pongal (usually 14/15th of January), Vaikunda Ekadasi, Narasimha Jeyanti, full moon day and on new moon day. A place with a lot of history and mythology. Amazing captures by you two. Thanks.Yeah you are right Saru.The place with a lot of history and mythology.